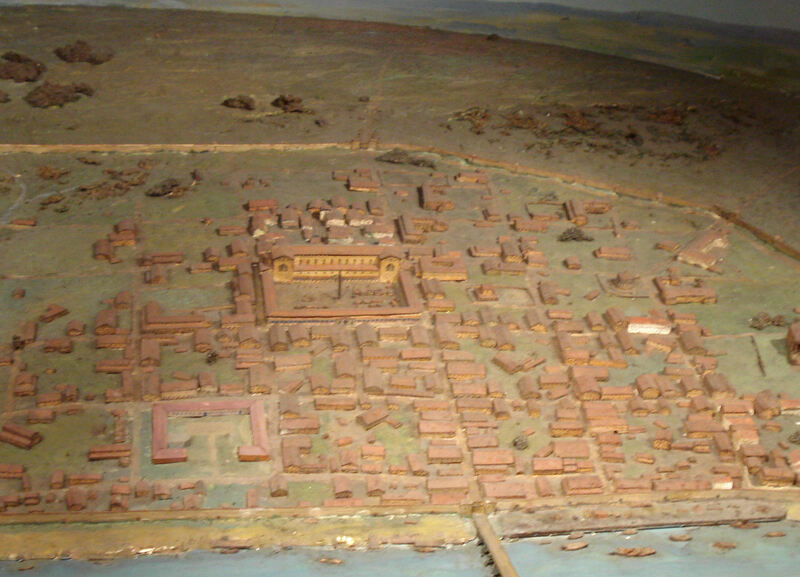 The model of Roman London shows the principal buildings of a great administrative capital. Made by Capt Lowther in 1928, it shows London Bridge as it was about AD 400, almost on the exact site as that of todays. The building to the right, near the city wall, stands on the present site of All Hallows. The large square building near the centre is the Forum and Basilica, the largest Roman building in Europe north of the Alps. Leadenhall market now stands on the site. The River Fleet seen on the left enters the Thames at Blackfriars and it still runs under Fleet Street today.